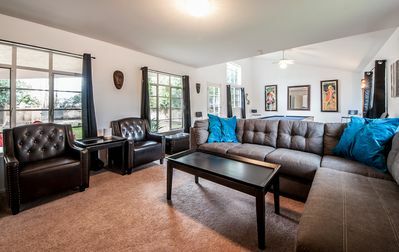 You'll love the open and spacious layout and local art in our home built for entertaining and family style gatherings. 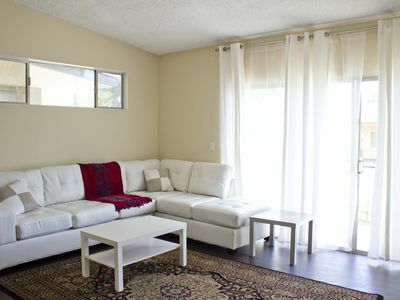 Wide open spaces and a flowing floor plan with all the amenities you need to relax and enjoy your company. Hot tub, firepit, pool table and library of board games and Dvds provide fun for all age groups. 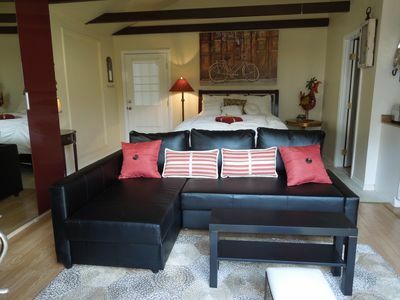 We prefer to rent to families and mature groups of friends. We have personal chefs, massage therapists, facialists, makeup artists, healers, bodyworkers, bike tours, yoga & surf instructors available for hire! 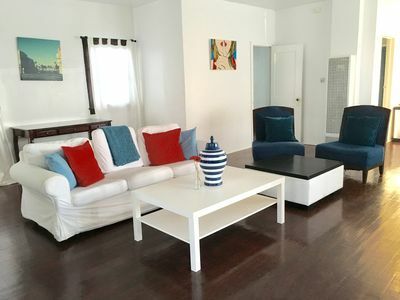 Walking distance to Venice Beach & Boardwalk, Venice Canals, Muscle Beach, the Marina, Oxford Nature reserve, bike paths, walking trails, fantastic restaurants, bars, grocery & shopping. Abbot Kinney Blvd for the trendsetters scene, restaurants, shopping. Close to Santa Monica. Large indoor and outdoor living spaces, comfortable beds. Sleeps and houses 14 +. Pool table, hot tub, 2 fireplaces inside, a bonfire pit outside, indoor and outdoor dining tables, built in gas BBQ, board games, books, 60” flatscreen TV with cable. Payment by cashiers check or bank wire is preferred. Credit card processing fees will be the responsibility of confirmed guests prior to arrival. 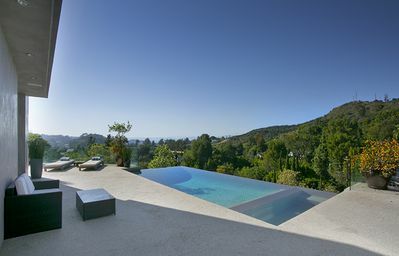 Hollywood Infinity View Villa - Hotel-Quality Villa w/Pool! 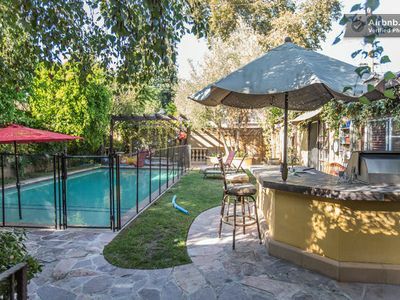 Beautiful spacious house with best pool for kids in the valley ! 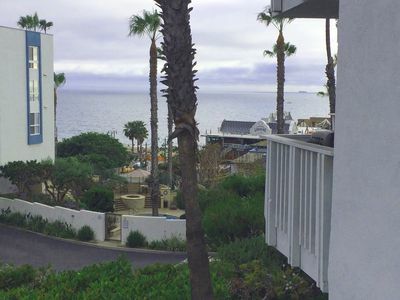 Amazing ground floor condo right next to the Beach that Includes 2 car Parking! 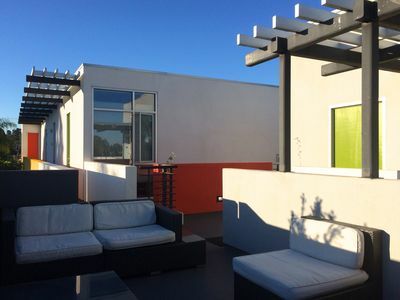 Cozy Vibrant Studio Apartment mile away from popular Venice Beach. California Living! 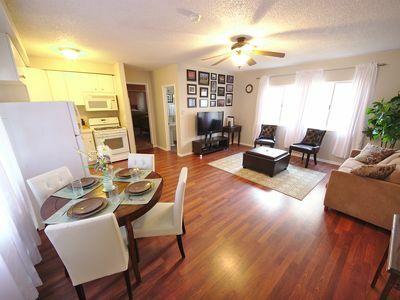 Oceanfront Condo in Redondo Beach! 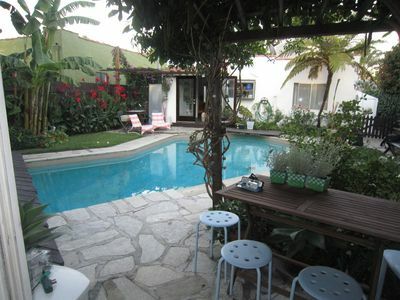 BEAUTIFUL VILLA IN PRIME WEST HOLLYWOOD WITH DETACHED GUESTHOUSE!